DOCTORS should stop prescribing aspirin to ward off heart attacks in people without heart disease, a leading doctor has said. 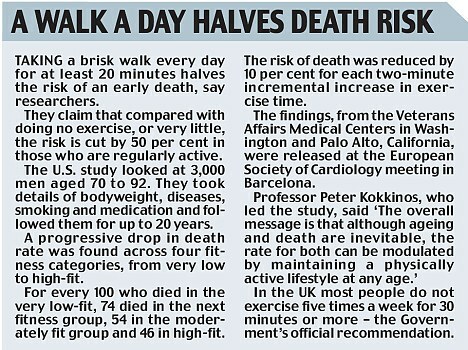 Giving aspirin to these patients can do more harm than good, raising the risk of dangerous stomach bleeding while having a 'negligible' effect on curbing death rates, he warned. Thousands of people with high blood pressure and type 2 diabetes are prescribed low-dose aspirin in line with medical guidelines because their doctors consider they are at high risk of heart attack. 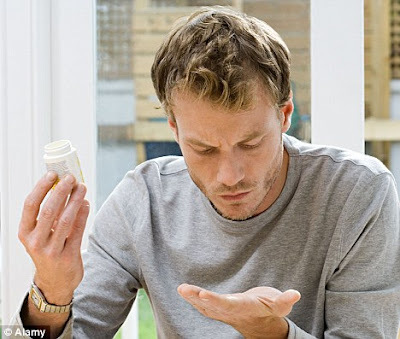 In addition, hundreds of thousands of healthy middle-aged people - the 'worried well' - regularly take aspirin, many of them daily, in case it does them some good. This is based on its established role in reducing the risk of repeat heart attacks and stroke by up to a third, even though doubt persists over whether aspirin has the same benefit in patients who have never suffered an attack. Growing evidence in recent months has increased the view that giving aspirin for primary prevention - where patients do have symptoms of heart disease - is counter-productive. Now Dr Ike Iheanacho, editor of the respected Drug and Therapeutics Bulletin, says the practice should be 'abandoned' because the evidence does not back it up. Some 2.3million Britons have type 2 diabetes, which is closely linked with growing levels of obesity, and they are up to five times more at risk of heart disease than the general population. Several guidelines issued between 2005 and 2008 by professional health bodies recommend routine use of aspirin for people aged 50 and older with type 2 diabetes and those with high blood pressure. 'But current evidence makes it hard to recommend starting aspirin for primary prevention,' said Dr Iheanacho. 'We believe the evidence is against low dose preventive treatment in these patients,' he added. A British study released in September found aspirin can double the chances of dangerous internal bleeding in people without a history of heart disease, while having no effect on the rate of heart attacks or strokes. Dr Iheanacho said patients taking aspirin for this reason should not stop without consulting a doctor. He urged doctors to review all their patients taking low-dose aspirin for primary prevention whether prescribed by themselves or whether it was bought overthecounter by the patients. 'The decision about whether to continue or stop treatment should be made only after fully informing patients of the available evidence. Some patients may see a small risk of harm as worth taking because they gain a small degree of possible benefit,' he added. 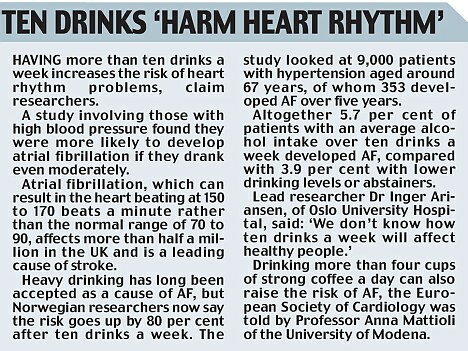 June Davison, of the British Heart Foundation said: 'It is well established that aspirin can help prevent heart attacks and strokes among people with heart and circulatory disease. They should continue to take it as prescribed by their doctor.